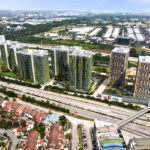 Home › Investment › Will Property Flipping In Malaysia Flop? 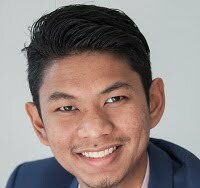 Will Property Flipping In Malaysia Flop? Many property investors and speculators managed to make huge profits in the real estate market in the past few years without paying any tax on income earned. However, with the various cooling measures implemented by the government recently, has it really reduced the viability of property speculation? 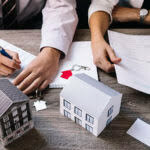 According to the latest report by National Property Information Centre (NAPIC), the property market has consolidated, and transactions numbers have slowed down in the first quarter of the year. Most states recorded a slowdown in the number of property transactions for the different sub-segments, among them residential, commercial and industrial. All states recorded an overall drop in transactions with Kuala Lumpur seeing a 13.4% dive compared to the last quarter of 2013. Therefore, with these market conditions, is flipping property still a smart thing to do? Is it still viable to flip? Before actually delving into the act of “flipping,” what does it really mean? 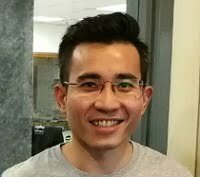 Flipping as mentioned by Chris Tan, lawyer and property investor, is the disposal of a property upon receiving the key. This can be done for both primary and secondary properties. You are flipping if you sell the property immediately upon receiving your keys. During periods when property prices rose in the double digits per annum, of course, property flipping was a viable means of getting large stacks of cash. However, the recent restrictions implemented have put a little damper on property speculation even as prices continue to rise. When the question of “Can we still flip?” is posed to the property experts, their constant answer is “Of course, you still can flip!” but the issue is if the profit margins from flipping high enough to make it worthwhile? This is where the crux of the matter is. How much profit would one make if they flipped in the current property market? The first thing that puts a damper on flipping is the real property gains tax (RPGT). The RPGT is a form of capital gains tax that is imposed on the disposal of property in Malaysia. It was suspended temporarily between 2008 and 2009, and reintroduced in 2010. In 2014, RPGT was increased for the 5th straight year since 2009. In Malaysia, an individual can only be taxed on the positive net capital gains. This is derived from the disposal price minus the purchased price, excluding miscellaneous charges, such as stamp duty, legal fees, advertisement charges. To get the net chargeable gain, the waiver on the taxable amount granted to individuals (but not companies) will then be deducted. * The holding period is from the date of the Sale and Purchase Agreement (SPA) until the disposal date. 1) Exemption on gains from the disposal of one residential property once in a lifetime to individual. 3) 10% of profits, or RM10, 000 per transaction (whichever is higher) is not taxable. Therefore, the only way for flipping to be successful now is by doing the math thoroughly. Deduct all expenses required from the selling price including RPGT, then compare it to the purchase price. If the margin is something acceptable to you then only would flipping make sense. However, experts emphasise that now is the time to “hold on” and not flip as the margin would be significantly reduced, not serving its purpose of raising a big enough amount of cash. Find out more about other cooling measures implemented in the RPGT and DIBS infographic. Ameena Siddiqi, the managing editor for Prospek Hartanah Magazine, likes to write on property and general topics. She has edited numerous books and magazines, and believes that financial literacy is important and knowledge is the key to advancing in life.